Beistle S20762AZ2 mini Christmas Stockings. The package contains 12 mini Stockings. 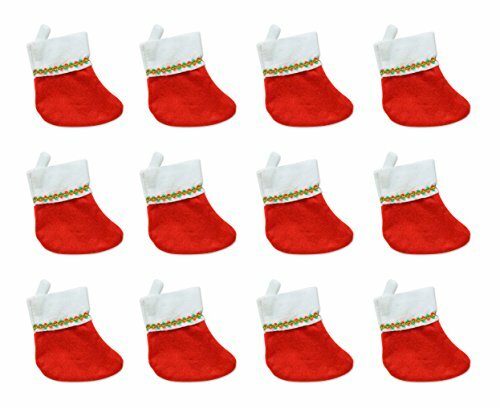 Each stocking measures 6 inches and is made of Red and white felt with a Green, Red and gold trim. Use these Stockings to decorate for Christmas! Use these stockings to decorate for Christmas!